Today is Global Surveyors’ Day and we’re celebrating the surveyors that built up the profession – and those that are just getting started! The students currently studying surveying are the future leaders of this industry are we’re so excited to see where they take us! Harry Teed is a Surveying Student who came for work experience at SHG in 2017. He is now studying for a Bachelor of Spatial Science Honours Degree when he is not racing in the Australian Off Road Championships where he is currently sitting 3rd in the u19 class championship and is also coming 3rd in the Queensland off road championship pro class. Clinton Urquhart just graduated from the University of Southern Queensland and is now leading SHG surveying crews in the western corridor growth area around Springfield and Ripley. He doesn’t race motor bikes, but enjoys relaxing and camping with his family. He has seen farm paddocks transform into Master Planned Communities. Most recently under the guidance of Senior Surveyor Michael Kleine (who used to race 2 stoke road bikes) surveyed the Everleigh Estate at Greenbank. You will also see him surveying around the Ripley Valley or at our new Springfield Office. Some of SHG’s surveyors can recall the old days of measuring with a steel band. Electronic measurement of distances using infra-red light only became main steam in surveying in the 1980’s. SHG Surveying Manager (Kelvin Dawson) recalls his first job on Cape York resuming land for the microwave link to Papua New Guinea, where four survey crews shared one Electronic Distance Measuring (EDM) unit. Now with the introduction of GPS, or GNSS as it is now known, one man crews can measure very accurately to points over the horizon. Kelvin has used this equipment to calibrate aircraft instrument Landing systems and map copper mines in the Philippines. Senior Cadastral Surveyor Jim Carter celebrated 35 years with the firm this month. Jim has carved out a Niche as a renowned expert in volumetric titling, resumptions, infrastructure design and construct review, and tenure impact assessment. This expertise is particularly valuable on large linear infrastructure projects, hence he has been involved with many of Brisbane’s tunnels and busways. 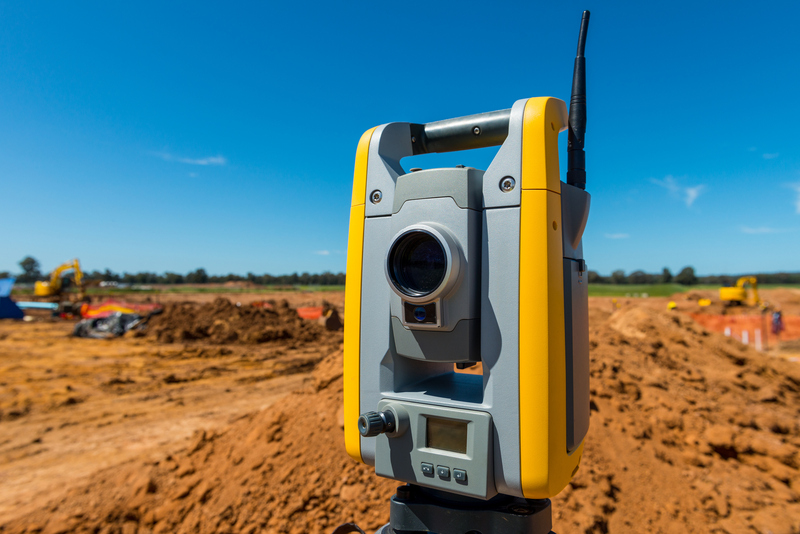 Please spare a thought for your surveyor on this Global Surveyors’ Day. Remember, ‘wherever you go, a surveyor would have been there before you’.